Dr. Sushil Shah is the Founder-Chairman of Metropolis Healthcare Ltd. Beckoned by a strong academic career; Dr. Shah embarked upon his educational journey with the prestigious Scindia School and went onto completing his M.B.B.S in 1972 and M.D. in Pathology and Bacteriology in 1975; from Grant Medical College. In 1978, he received Research Fellowship at the esteemed Cornell Medical Centre in Endocrine Pathology. 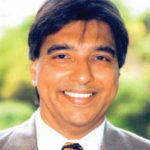 Thereon he held many prestigious academic positions and headed departments at recognised hospitals throughout his career. He has headed the RIA department at Breach Candy Hospital and Pathology Departments at Sir. H.N. Hospital, Saifee Hospital and Cumballa Hill Hospital. He has numerous scientific publications to his credit and has pioneered Radio Immunoassay Technique, HIV testing and In-Vitro Fertilisation for the first time in India. He also served as a PhD teacher in Microbiology at Mumbai University in 2004 and PhD/MSc Guide by Research at Rai University in Mumbai. Inundated with business acumen, Dr. Shah displays an exemplary mix of academic and business success. 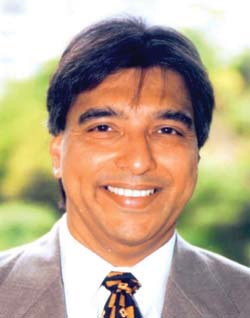 In addition to the evident accomplishments he registered as the founder of Metropolis Healthcare, he has held Directorial positions at leading corporates. A businessman of wide understanding, Dr. Shah was the Director at Dr. Reddy’s Laboratories and Span Diagnostics; the Executive Director of Dr. Reddy’s Diagnostic and Standard Finance Equity Fund. His Entrepreneurial zeal, disposition and accomplishments made him the Ernst and Young’s Entrepreneur of the Year in 2011. Dr. Shah has made significant contributions to the overall Diagnostic Pathology Industry and continues his pursuit towards a vision of a consolidated Industry in India. For his contributions he has earned national recognitions like the Rashtriya Chikitsa Ratna Award, Rajiv Gandhi Gold Medal Award; is a Member of the Committee on Diagnostics with the FDA and Research Committee of IICB, Calcutta. His vision, scientific outlook and business insight have been the major driving forces behind Metropolis’s scientific success. Today Metropolis is a leading healthcare brand, catering to over 200,000 doctors, 20,000 laboratories and hospitals, processing more than 30 million tests annually. The company’s DNA for Quality comes from Dr. Shah’s acute focus on quality lab processes and customer care. This makes Metropolis amongst few laboratories in the country to be accredited by CAP, NABL NGSP Level 1, CLIA and SANAS.